In today's high-stakes business environment, system performance is the king of the jungle. From system and load distribution, to memory management, to buffering and locks, you know there are many pitfalls to avoid. 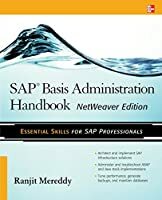 Up to date for SAP NetWeaver 7.3, this authoritative guide to analysis and tuning offers the practical tips and real-world examples to reach your tuning potential day in and day out. Anticipate, identify, analyze, and solve performance problems to keep your SAP system on top. 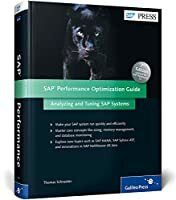 Get complete coverage of the SAP Basis hardware, database, memory configuration, and work processes to maximize system analysis and tuning. Explore the analysis and tuning tools integrated with SAP NetWeaver 7.3 and get previews of version 7.4. Learn to evaluate CPU performance and available memory, use the SAP Management Console, and clear memory with garbage collection in the SAP Java Virtual Machine. 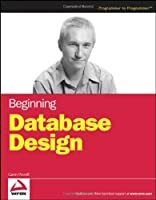 From SAP MaxDB to DB2 to SAP Sybase ASE, find the most important information about database monitoring and optimizing SQL statements. Make your SAP system faster, sleeker, and stronger with new SAP HANA technologies like in-memory and column-based data storage.